John dory are caught in different areas and these were assessed. John dory caught in the South Island are a better choice than those caught in the North Island, however both have some concerns. John dory are midwater to seafloor dwelling. While found throughout New Zealand they are most common north of the Cook Strait. They are caught in mixed species trawl catches where the main target species are snapper and terakihi. A small number is also caught by Danish seine. John dory is caught by bottom trawling and Danish seining. The damage done by bottom-trawling, the uncertainty of catch limit sustainability and the health of stocks are of concern. There have been declines in Hauraki Gulf and East Northland. John dory has limited research and lacks a management plan. The trawl fisheries that catch john dory also catch marine mammals and seabirds. Not certified under any scheme. New Zealand market plus exports to Australia (60%), United States, and Switzerland with a value of about $4.6 million in 2015. Regional (stock) differences of john dory were assessed.  John dory from the North Island, primarily caught in JDO 2, were ranked red, worst choice and should be avoided. John dory caught in the South Island ranked higher and is ok to eat, but there are some concerns. Population size: Unknown but likely to be relatively small, although abundance varies with recruitment year class strength. Annual catch limit: Limit set at 1,205 tonnes from 1 October 2016 with an increase of 40 tonnes in QMA 7. Recorded catch: Reported landings of 652 tonnes in 2014-15, half the increased catch limit. Stock trends: Unknown, maybe declining off the West Coast of the South Island (JDO 7). Hauraki Gulf and East Northland has undergone decline. 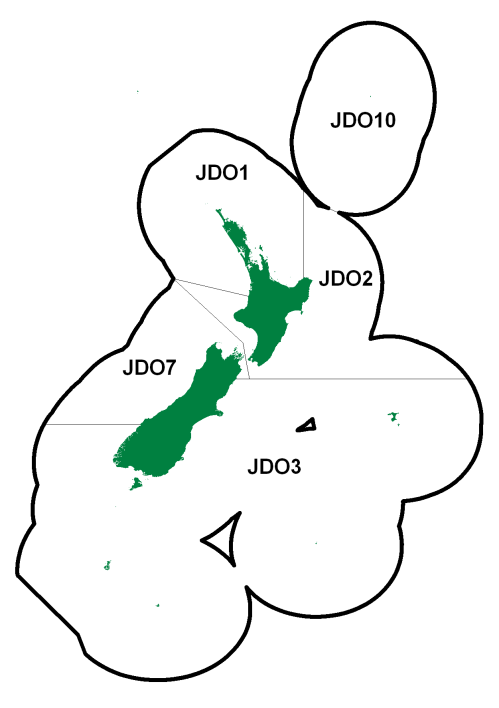 JDO2 Southeast North Island: “Unlikely to be at or above the target.” “About as likely or not to be below the soft limit”. West Coast South Island (JDO7): “Likely to be above the target. Overfishing is unlikely to be occurring.” “The stock is currently at the relatively high level… and the strong 1+ year class seen in 2015 is likely to sustain biomass levels, at least in the short term.” (MPI 2016, p408-414). Distribution: Relatively common in coastal waters off northern New Zealand, especially from the Bay of Plenty northwards. Fishing method(s): John dory are caught by bottom trawl and Danish seine as bycatch. Main bycatch fisheries are targeting snapper (33%) and tarakihi (14%). 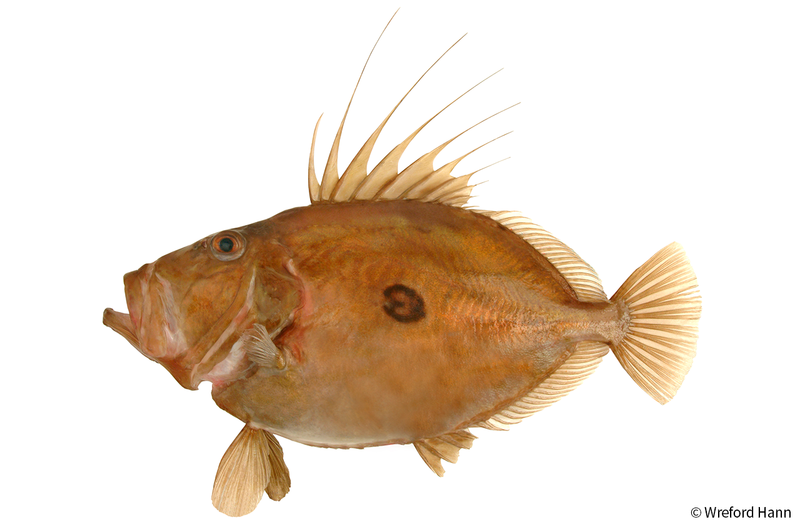 In JDO 1 the main bottom trawl fisheries catching john dory are snapper (23%), john dory (19%), and trevally (10%). In JDO 2 the main bottom trawl fisheries catching john dory are tarakihi (30%) and gurnard (25%). In JDO 7 the main bottom trawl fisheries catching john dory are flatfish (25%), barracouta (23%) and tarakihi (18%). Habitat damage: Bottom trawling and Danish seining both have some benthic impacts. There is considerable damage to seafloor communities when caught by bottom trawl or midwater trawl which touches the bottom. Impacts include habitat modification, loss of biodiversity, loss of benthic productivity and modification of important breeding and juvenile fish habitat. Habitat of particular significance: hasn’t been defined in New Zealand. Bycatch: Fish bycatch associated with its capture in a range of fisheries (e.g. snapper and tarakihi, barracouta, red cod, stargazer, and red gurnard), including a range of inshore shark species. Ecological effects: The combined effects of destroying seafloor habitats and non-target fish bycatch can have considerable ecological implications. Bycatch: Protected species bycatch associated with john dory occurs in a range of fisheries (e.g. snapper, tarakihi, barracouta, red cod, stargazer, and red gurnard). Inshore trawl fisheries have an estimated seabird bycatch of 4370 seabirds, including cryptic mortality: species reported include white-capped albatross, Salvin’s albatross and white-chinned petrels. Fur seal captures have also been estimated in the inshore trawl fisheries at about 20 per year. Management component: Single species but three stocks may exist in one quota area (JDO 1), two stocks in another (JDO 2), and two stocks across two quota areas (JDO 7 and JDO 2). Quota Management Species: Yes, since 1986. Management plan: There is no approved inshore plan. Stock assessment: No full quantitative stock assessments completed for any area but partial assessments in JDO 1, 2 and 7. High uncertainty over recruitment variability. Research: Increased research focus on john dory but so far. no full assessments of the fishery. Observer coverage: Variable depending on the fishery. Ranges from zero to 1.5% for the snapper fishery. Coverage is unlikely to be spatially or temporally representative of the fishing effort. Taken from the Ministry for Primary Industries’ Plenary report for fisheries management. Report from the Fishery Assessment plenary, May 2016: stock assessments and yield estimates. Part 2: John Dory to Red Cod, Science Group, Ministry for Primary Industries; Ministry for Primary Industries (2016) Aquatic Environment and Biodiversity Annual Review 2015. Compiled by the Fisheries Management Science Team, Ministry for Primary Industries. 682p. The Guidebook to New Zealand Commercial Fish Species, 2007 Revised Edition, The New Zealand Seafood Industry Council Ltd. Seafood NZ, 2016. New Zealand Seafood Exports to December 2015. 133p.